Option 4 - Send us your powerhead with the carburetors, fuel system and ignition system (dressed) and we will remanufacture it. In this option we clean all components and rebuild the carburetors. All EFI fuel injected outboards (non-Direct Injected) get the injectors clean and flow tested prior to assembly, see page 7 for details. Regardless of make or model all dealer rebuilds are remanufactured using quality parts (not aftermarket). Note! Freight is not paid by Flagship Marine in either direction. Prices include all parts and labor for the disassembly, cleaning, machining and reassembly. All Powerheads will be remanufactured, using new gaskets, pistons, o-rings and seals. All cylinders will have new pistons installed and all of the powerheads will be reassembled with the latest style cylinder heads. All return cores must be borable and have a usable crankshaft and rods. Powerheads other than those listed above can be remanufactured. Call today for a quote. Today fuels are developed for everyday automotive driving. 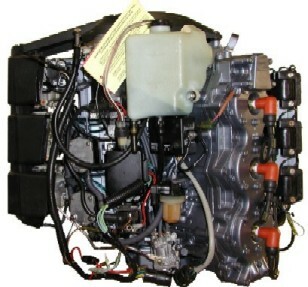 In the marine environment, however, boats will usually sit for long periods unused and are exposed to foreign matter that can get into a boats fuel system. This can be especially problematic with the current fuel injection outboards which are more common today then in the past. As a dealer, you probably witnessed the ever increasing number of reports by operators of conventional style injection (shown below) of problems caused by clogged, gummed up or even stuck injectors. Flagship now has the ability to solve this problem. Flagship will go through its procedure to "flow" the injectors to establish a relative value of your injector to that of a new one. 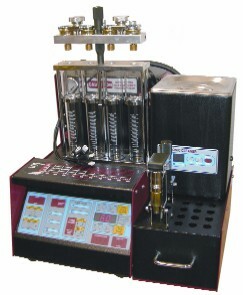 After such, Flagship will clean the injectors as needed. This will allow your injectors, as well as your engine, to operate at their optimal level. 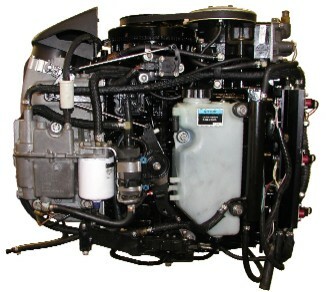 Likewise, this procedure is also available for stern drive and inboard 4 cycle engines.